Some graphic design gets your attention. Some sticks in the memory. Then there are those very special projects that actually become a permanent Landmark on the cultural landscape. Joe Boxer. Volkswagen. Victoria's Secret. These and more than 25 additional projects are featured inside. What causes people to embrace these designs? How do they stay vital and alive? In the pages of The Perfect Package. You'll learn their secrets. Presents an inspirational collection of identity, packaging, advertising, broadcast, Web, and publication design where top designers from around the world have created images which are coveted, collected, and purchased for the sake of the design itself. Catharine Fishel runs Catharine & Sons, a full-service editorial company that specializes in working with designers and related industries. Editor of Dynamic Graphics magazine, she frequently writes for Step-by-Step Graphics. PRINT, DesignNet, and other trade publications. She is author of Paper Graphics, Minimal Graphics, and Redesigning Identity. 4. 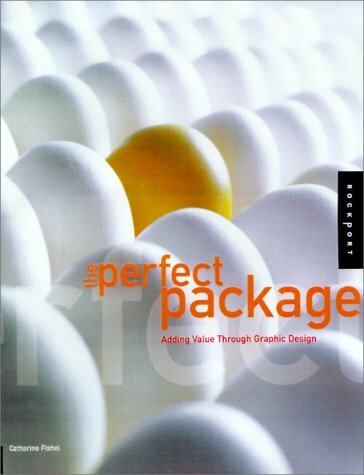 Perfect Package: How to Add Value Through Graphic Design Fishel, Catharine M.
5. 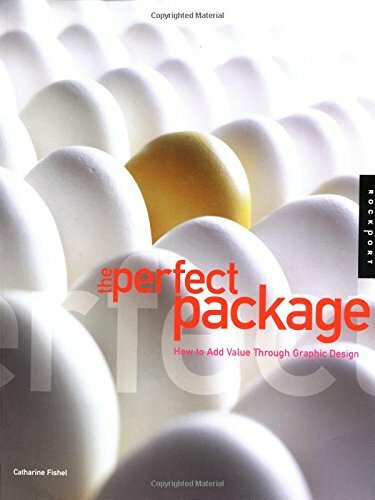 Perfect Package: How to Add Value Through Graphic Design Fishel, Catharine M.